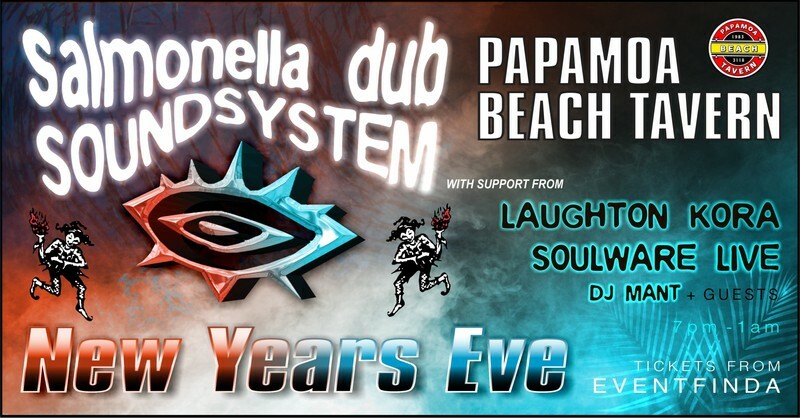 The Mighty Salmonella Dub Soundsystem return to the BOP to roll your feet across the dancefloor at Papamoa Beach Tavern for New Years 2018. They've got their good friends Soulware and Laughton Kora in the line-up too. The night will kick off nice at early @ 7pm with warm-up DJ's. A very limited run of early bird tickets will be available from 12.7.18 at $40 + booking fee. The first 50 early birds who get their tickets will receive a free copy of Salmonella Dub's 25th birthday compile commercial Grates.